Yesterday, Sloane turned two. We were busy having a little family party (full of crepes and cake! ), so this post is a little belated. Sorry. I still vividly remember Camaron asking me what I thought our baby would look like. I was laying in the hospital bed in the labor and delivery room, getting myself ready to start pushing. Our second baby was almost here. We had decided not to find out the gender this pregnancy. Right after Camaron posed his question, I immediately pictured a little newborn girl with lots of dark hair. It was just moments later that I heard Camaron announce, "it's a girl!" And then I met Sloane. Our little, dark haired beauty. 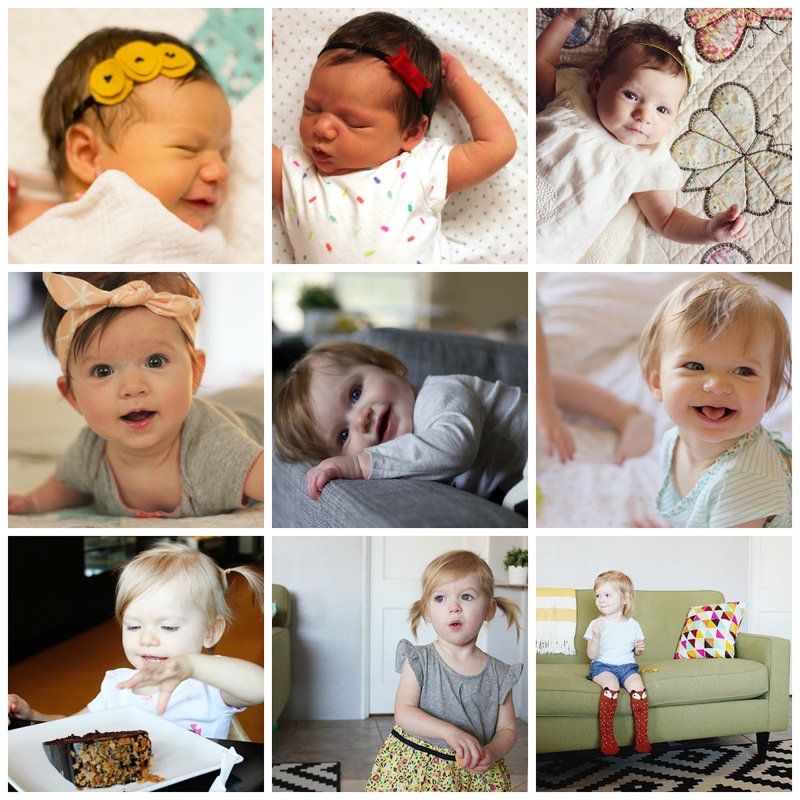 Her hair has lightened up a lot since then, but Sloane is still our little baby (even though she's two now!). She is also still Fox's biggest fan. She loves/copies just about everything he does and has a lot of the same favorites, except when it comes to T.V. shows (She is a diehard My Little Pony fan). And even though she sounds exactly like Fox at this age and they've been mistaken for twins at the grocery store on multiple occasions, Sloane is very much an individual and has a very unique personality. She has a gift for telling knock knock jokes in a way that will always end in laughter. Not her own laughter -she's pretty serious about joke telling. But her laugh is great. And she has a smile that is just contagious. Sloane has a great love for everyone she meets. She is a very friendly girl. She is obsessed with babies. She'll always point them out. And when my sister's little twin newborns are around, Sloane is drawn to them like a magnet. Sloane has a lot of favorites (Mickey, MLP (as mentioned earlier), pink, slides, and the bathroom sink faucet) ...but don't be fooled, none of these will work if you try to bribe her. Girl cannot be bribed into anything. She is also pretty much fearless. If there's a diving board at the pool, Sloane will find it. She loves books and most all foods. And she has great hair (she trained it to part to the side all on her own). It's so hard to remember the part of our life that didn't include Sloane. She just fits and completes our family so perfectly. Having her around brings us so much happiness. I'm so grateful to be your mom, Sloane! I'm so proud of what an amazing little girl you are becoming. We love you so, so much! Happy birthday, Sloane!! !